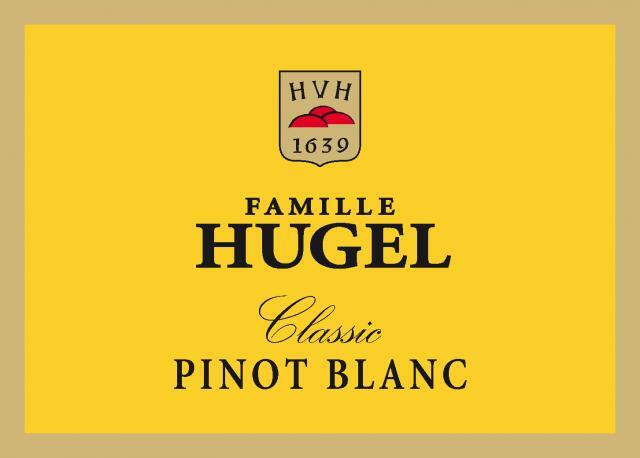 It is now the most planted varietal in Alsace. Delicate, subtle and well built, it makes an excellent aperitif because, although nicely rounded, it is also refreshing. The perfect all-purpose dry white wine, it goes well with country buffets, seafood and white meats. Alcohol level (% vol. ): 12.5 % vol. It is the most approachable wine of Alsace and also the most consistent year in year out. Not far in style from an unoaked Chardonnay such as a Macon or Chablis. Harvested in the first days of harvest, exclusively by hand, from clay and limestone vineyards in a dozen of the most favoured localities in and around Riquewihr. The grapes are taken in small tubs to the presses, which are filled by gravity, without any pumping or other mechanical intervention. After pressing, the must is decanted for a few hours, then fermented in temperature-controlled barrels or vats (at 18 to 24°C). The wine is racked just once, before natural clarification during the course of the winter. The following spring, the wine is lightly filtered just before bottling, and the bottles are then aged in our cellars until released for sale. The whole production of this wine is closed with DIAM the cork without the risk of cork taint. Pleasant young, fresh and crystalline colour, dominated by its pure and transparent light green shimmer with scattered silver highlights. It gives off a hint springtime with pistachio and verbena leaves. Very pleasant, smooth and tender legs. It has a very precise, refreshing, open and expressive nose, enriched with a sound and lively aroma, there is an agreeable and harmonious approach with the fruity spontaneity of green apples, white peaches, fresh moss and spring flowers, such as primrose and daffodil. A wonderfully pure and harmonious assault on the senses. On the palate it is a well-balanced and pleasant dry wine which is also fresh, refreshing, and pleasingly well-rounded with a pleasantly smooth and full structure which begs to be enjoyed. It has a lively, thirst-quenching thrust as it reaches the mouth yet maintains a subtlety of flavour. The after-taste is strong with a pleasant and clear fruitiness. This 2016 vintage is a finely suited successor to the previous vintage, highlighting the Artfulness of the wine-maker in how they allow the variety to express itself fully without losing any sense of soul and identity. It should be enjoyed during its sparkling youth and will also be magnificent if laid down for 3 to 5 years. This is a genuine, well-made and precise wine. Best served at 8°C; ideal for aperitifs. A nice wine to start the meal, an ideal complement to the wines to follow... Excellent value for money. Ideal served with with sea and fresh-water fish, preferably grilled, in sauce, smoked, marinated or at the start of a meal, with asparagus, Mackerel in aspic, seafood platters, goat or sheep cheese or simply enjoyed as a pleasant, easy to drink white wine. I have no reservations on this one.